Largest % of wine sold by licensee’s is by the glass (BTG). Wine on Tap is a new concept but growing in popularity in the US and throughout the world. Minimum shelf life of one year or more depending on the quality of the wine. Ensures consistent quality. 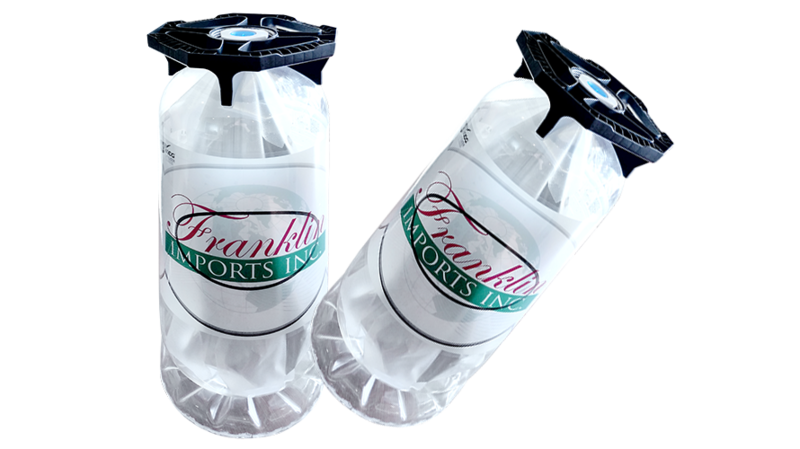 Since the beverage in a FRANKLIN KEGS does not come into contact with the propellant, Kegs can be dispensed using a simple air compressor. That saves money and emits less CO2. It is also much safer. Many bars, hotels and restaurants have already opted for using air – a unique sales argument. The laminated aluminium inner bag ensures that there is no contact between beverage and propellant. Manufactured in a sterile room, the inner bag creates a superior barrier, and meets the strict European and American food-safety standards. It has no influence on taste. 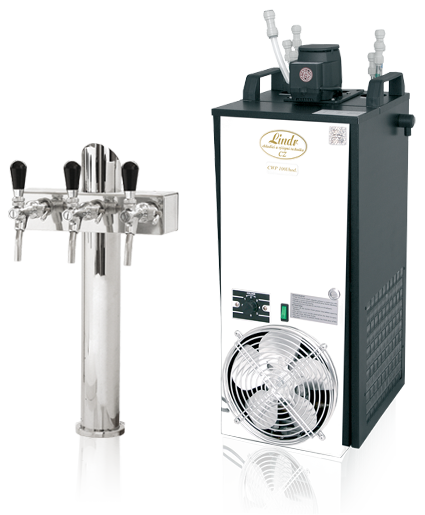 The Keg fitting is specially adapted for the FRANKLIN KEG two-compartment system, equipped with an overpressure valve. With the Keg coupler, a FRANKLIN KEG fits any existing tapping system. Every Keg coupler has an pressure relief valve to prevent unintentional excess pressure inside the Keg. FRANKLIN KEGS are resistant to high pressures, and tests show that a full Keg can easily withstand being dropped a meter and a half. The strong yet lightweight packaging makes FRANKLIN KEGS easy to handle and transport. The Double Wall ™ technology in the cylindrical Keg makes it resistant to even higher pressures as well as to damage from outside.